Vacation can be more than just relaxing by the beach. 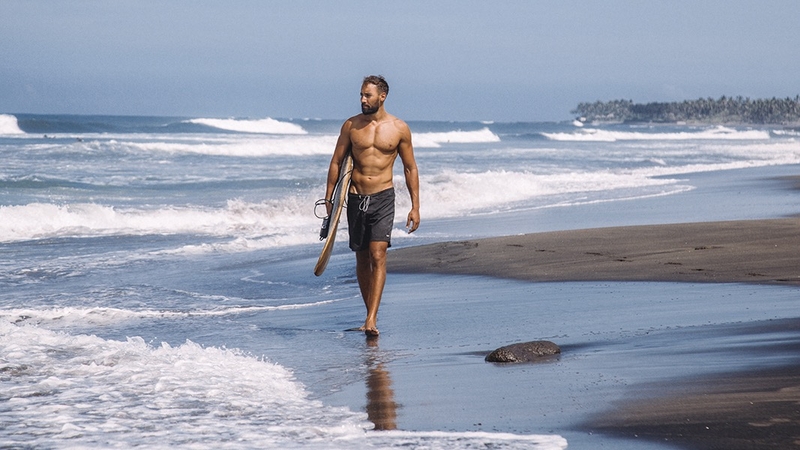 Recover from a burnout, open your horizon and embark on a journey of self-discovery, with one-on-one Coaching packages by a trained Life Coach, situated right in the heart of charming Canggu. It’s easy to get lost these days – in the emails, status updates and social media feeds. It’s also easy to have your energy drained in the endless meetings, and the long commute. Some say that is the tragedy of modern life, but you really don’t have to succumb to this lifestyle. Having been stuck in the grind of climbing up the corporate and social ladder, Entrepreneur and The Body and Mind Coach, Dris Mhammedi is inviting you to rejuvenate yourself with specialized Body and Mind Coaching Retreats, right in the heart of Canggu, Bali’s most treasured gems. He offers two Coaching Retreat Packages: The Pause and The Stretch. This will be unlike any other vacation, for you will be guided personally by Dris, who will help you rediscover yourself and go home with an improved outlook on your life. The Pause and The Stretch Packages are all inclusive of one-on-one Coaching Sessions, Yoga, Surf Initiations, Beach Exercise, Superfood Breakfast, Accommodation and Sunset/Dinner discoveries in Bali. THE PAUSE: "A PIT STOP FOR SUPER-BUSY PEOPLE"
The Pause is a 3-day package, and the name itself already speaks for the essence of it all. It's not supposed to be a quick fix, nor is it meant for you to find quick answers. Instead, you are invited to press pause, slow down and start examining what works in your life and what doesn't. With The Pause, your daily routine will start with a refreshing mediation session. Your first session will focus on assessing your life situation, and to ponder on what the past year has been like for you, and how you want to spend the next year to come. You may enjoy other relaxing, yet fulfilling morning exercises such as Surfing and Circuit training during your 3-day stay. After breakfast, the rest of your day will be spent with a walk on the beach, 1:1 coaching, and enough time and space for you to process the insights you encounter throughout your journey. The Stretch is a private, 5-day package designed for professionals who are looking to make a significant change in their life. Your time at the retreat will be spent with a combination of theoretical guidance and physical exercise. You will be asked to dive deep into your passion, yours interests and your plans for the future. Similar to The Pause, your daily routine will start with either a mediation session, yoga, surf initiation or an exercise by the beach. After a nutritious breakfast, you will start your workshop sessions, and 1:1 coaching. Expect to closely examine your life, and ask yourself big questions. Explore your ideal path to a purposeful life, and reflect on your journey. Come lunchtime, find yourself walking at the beach, reflecting on what you've learned from the workshop, or enjoy a relaxing spa treatment. As you go through your five-day retreat, you will gradually find clarity and start focusing on creating a clear plan on how to lead a purposeful life. For whichever package you choose, the man behind this Retreat, Dris Mhammedi, will be coaching you throughout the journey. An entrepreneur and professional Life Coach, Dris have had first-hand experience with losing sight of his passions and having to realign his purpose. Now, he wants to help others who feels lost do the same. “This Retreat is made for a wide range of people, whether they are a 20-something looking to find answers to their questions, or for insightful professionals in their 30s to 50s, who are looking to make a significant change in their life and make a leap outside their comfort zone,” Dris explains. Through this coaching retreat, he aims to “guide people back to their equilibrium by helping them find out what is truly important in their life”. In the process, he will help you pinpoint your strengths, talents and desires, as well as finding the courage to use your strength to your advantage. Now, going down that path to a better life is not going to happen with a quick fix, instead it is a process one must undertake with utmost clarity. This process requires a clear head, and the time and space, which will allow you to focus. Spending the few days at this coaching retreat will give you just the right formula for that process: a professional Life Coach who will guide you find that path, and the serene beachside atmosphere for you to focus on that journey to a better self.